The EMOTION 3 is setting new standards in the field ofsafety and performance. There was never made such a huge effort before, to reach a new developing level. The test and construction workings on the new high-end A-wing lasted for more than a year. Many studies and prototypes were created and discarded and optimized through countless test flights. The demands to the newest generation of the established EMOTION series were very high, nevertheless all expectations were exceeded with the new concept of the wing. U-Turn is relying on class-suitable gliders, and so during the development of the new A-class-wing everything was put under the motto of uncompromising passive safety. The EMOTION 3 is combining sportive features with very high tolerance. 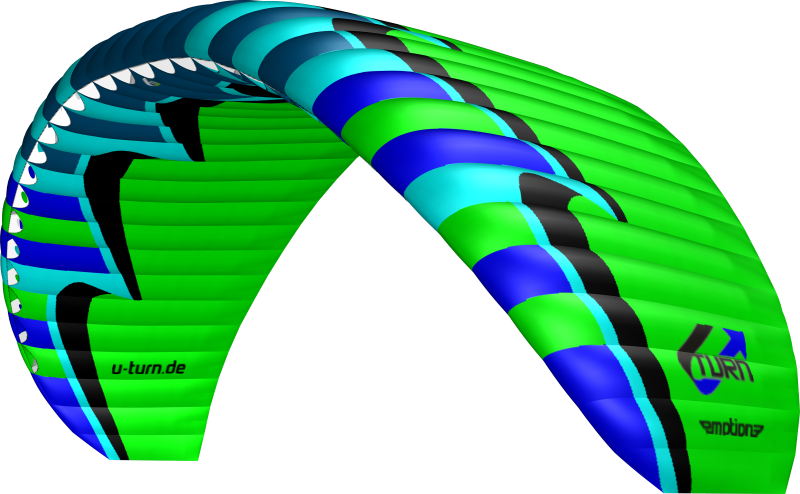 Especially in turbulent air it is not easy to ruffle the wing – is a pressure compensation necessary anyway, the reactions turn out very moderate and damped. The high stability is supporting the outraging glide features and the rise performance of the EMOTION 3. Even in weak thermal the wing is rising very efficiently and is dynamically turned into curves, this is especially positively notable when centering in the thermal. With the EMOTION 3 particular focus was put on reliable starting behavior. 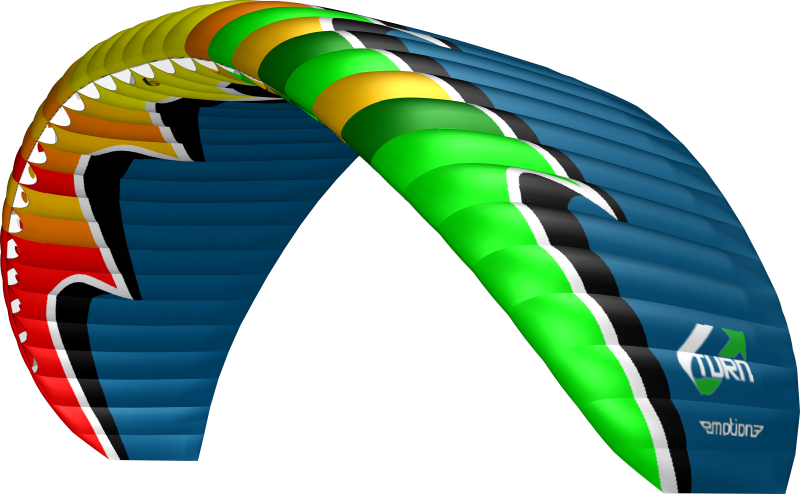 The wing is rising evenly and without tendency of the canopy diving forward. It is filling itself fast even at little wind and with small effort. 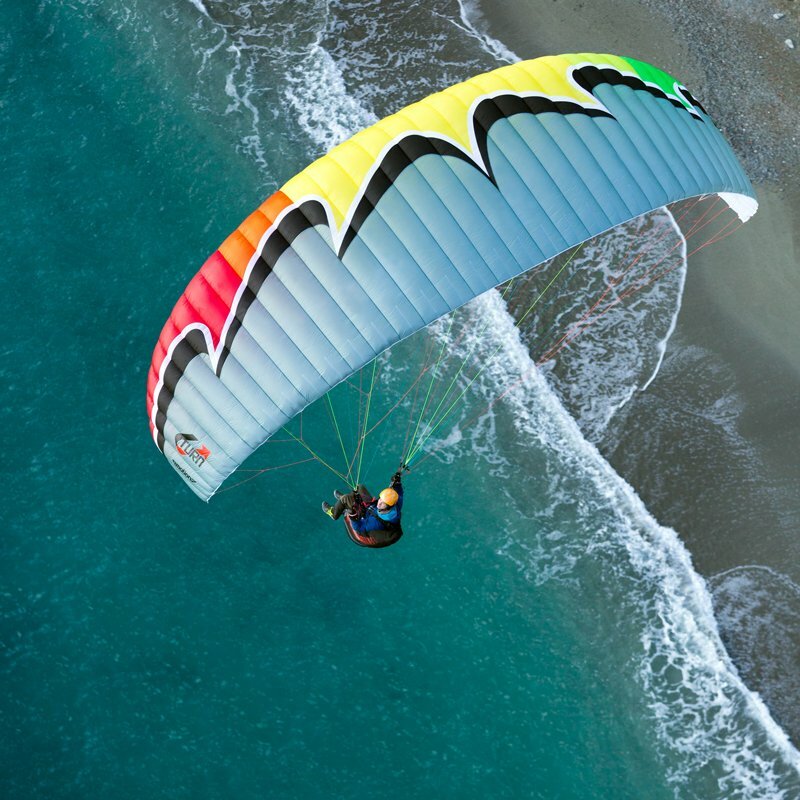 The EMOTION 3 is the perfect wing for beginners that promises the secure fun-factor even long after school. The wing is aimed at all pilots, who are looking a high-end A-class wing in the newest generation. 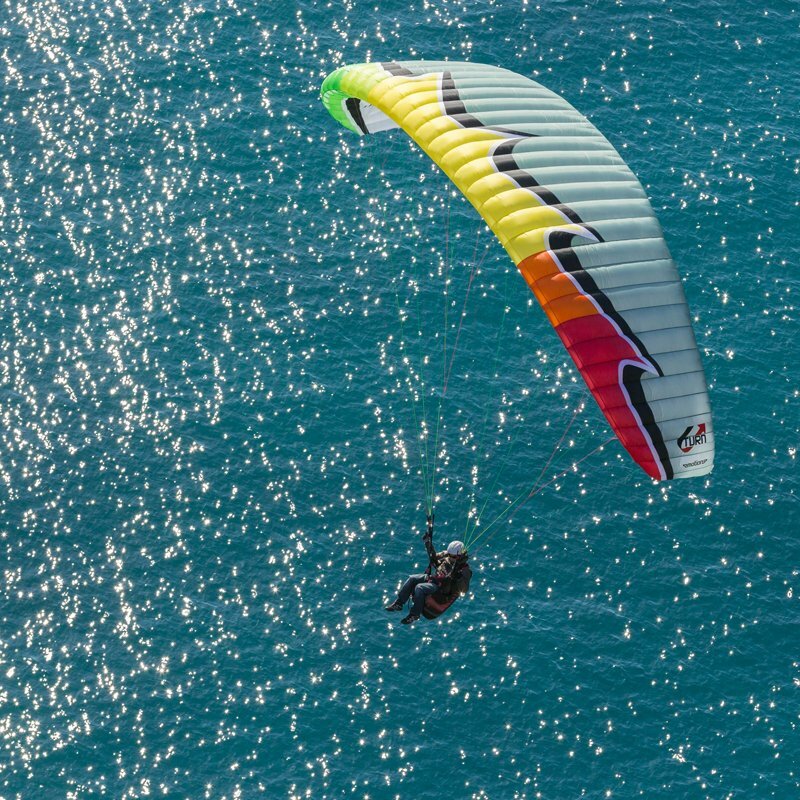 The EMOTION 3 is based on a new ground plan and a modified wing profile, which combines the glide performance with a very high tolerance spectrum. 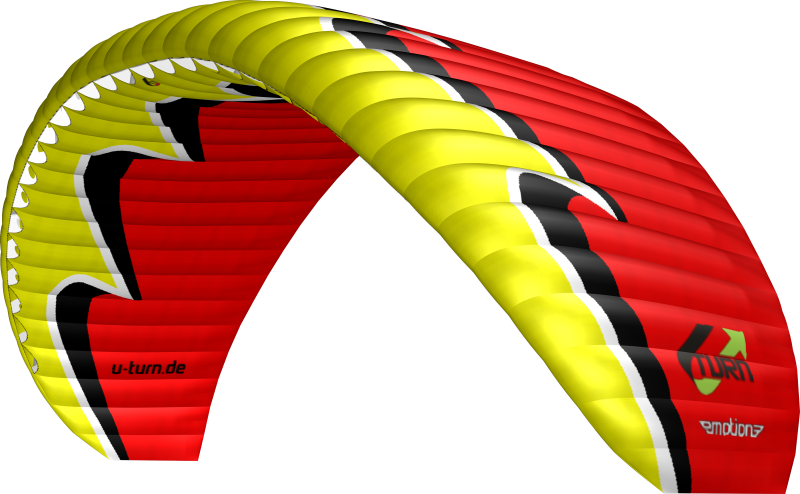 Chief constructor Ernst Strobl equipped the EMOTION 3 with 36 cells and a flat AR of 5, also the wing is equipped with the newest technical features. 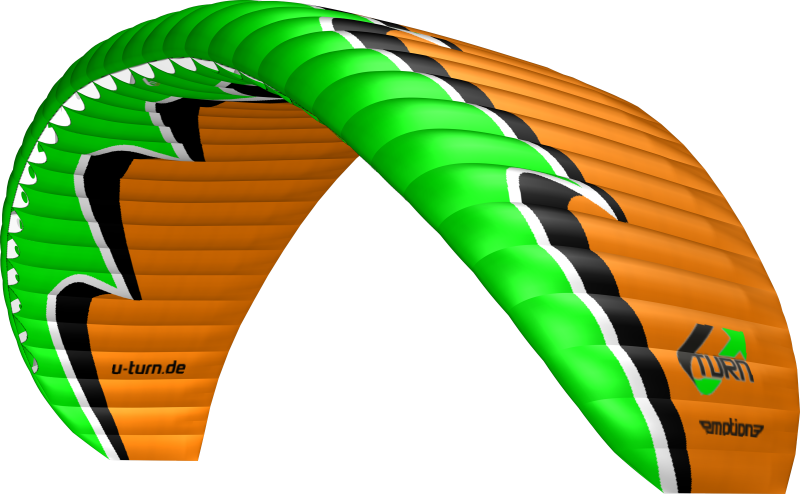 Besides the PPN, the 3D shaping is providing optimized inflow and form stability of the cell opening area. 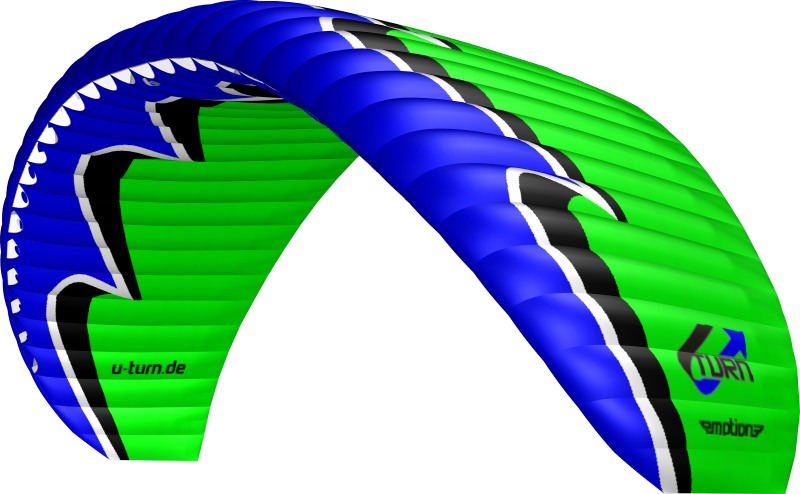 Elaborate calculations of the ballooning in combination with the optimized pre-tensioning of the wing are providing a balanced pressure distribution and circulation of the profile. Mini-ribs at the rear end of the wing are giving the profile more form fidelity and are optimizing the aerodynamics additionally, especially when braking. The High Pressure Crossport Design (HPCD) provides an ideal aeration of the crossports, which helps to balance the pressure differences on the inside of the wing, and therefore enhances the safety. The riser are equipped with the Pilot Assistant (PAS) – at which, besides color codings, icons are providing a better orientation on the line levels. Additionally the main suspensions are furnished with the new standard color codings, that is providing better orientation when hooking in the harness. With the Emtoion 3 the fun factor is not left behind because of the enormously high safety cushion. 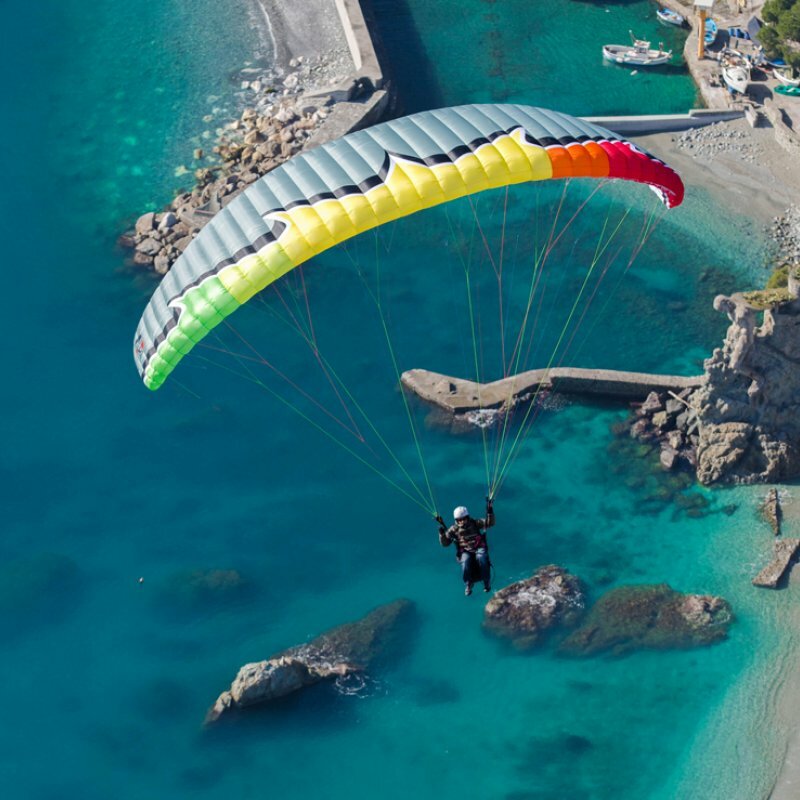 The starting miracle has much glide performance available, combined with a super easy handling and the currently highest safety level DHL Safety Class 2. Arrange a test flight and let yourself be convinced!